Eliza And The Bear will be performing live acoustic sets and signing copies of their brand new self-titled debut album, set for release on 8 April 2016, in specially selected hmv and Fopp stores across the UK and appearing at Fopp Manchester on 15th April 2016. 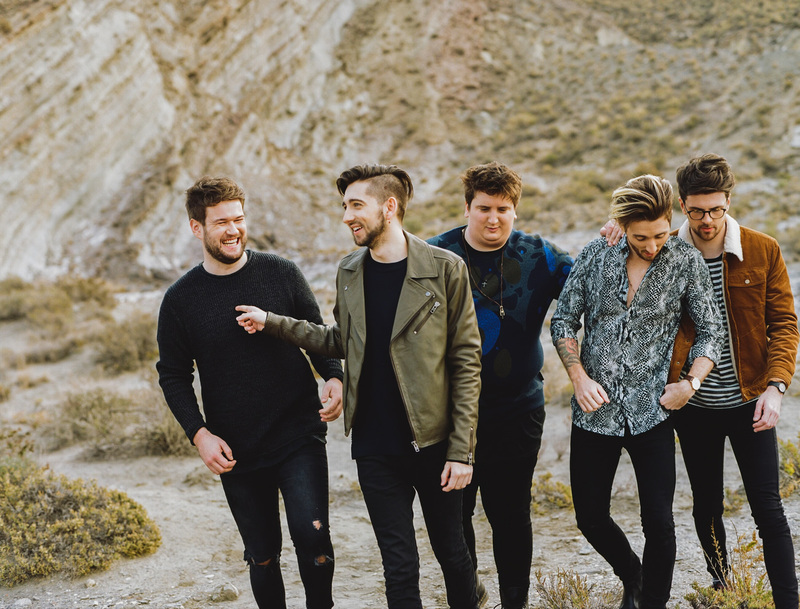 Eliza and the Bear have returned with yet another glowing anthem, Friends, the latest single to be lifted from their eponymously-titled debut album, released 8 April 2016 on Capitol Records. The track tells an uplifting story about the importance of friends and family, combined with gleaming guitars and stadium-sized optimism. Friends is the perfect example of how the Essex quintet create, life-affirming songs. The track follows previous Radio 1 playlisted singles Lion’s Heart, which ‘led to roaring singalongs at festivals’ (The Telegraph) and It Gets Cold (The Independent “hard to get away from its magnetic groove”). During the making of the album, the band decamped to Nashville to work with three times Grammy Award-winning producer Jacquire King (Kings Of Leon, Of Monsters and Men, James Bay).